In May of 2016, the Occupational Safety and Health Administration (OSHA) issued a final rule “Improve Tracking of Workplace Injuries and Illnesses” to revise its recording and reporting occupational injuries and illnesses regulation. The final rule requires employers in certain industries to electronically submit to OSHA injury and illness recordkeeping data included on the 300A, 300, and 301 forms. Workers at a distribution company were regularly working at height to service a conveyor system that runs throughout the entire facility. To protect those at height, the company installed multiple Gorbel Tether Track™ ceiling mounted, monorail anchor systems with self‐retracting lanyards. The dual‐trussed monorail now allows multiple workers to be on the conveyors with the ability to pass each other without disconnecting the lanyards from their harnesses. 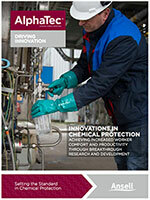 The chemical protection market has remained unchanged in the last thirty years despite industry advancements and changes. Consequently, workers and purchasing agents have experienced serious gaps in their wants and needs for chemical protection with the products currently available. You have safety padlocks, lockout tags, and circuit breaker, electrical and valve lockout devices. You even installed a few wall-mounted, department-specific lockout stations in your facility. 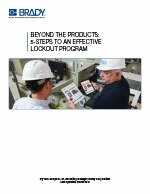 So you should be ready for an OSHA lockout/tagout inspection, right? And your employees should understand your program and how to put it into practice? The human eye is a complex and intricate organ that provides us with the invaluable sense of sight. Commonly referred to as our windows to the world, eyes allow us to take in the majority of information we obtain about the environment around us. In fact, experts agree that the eyes contribute nearly 85 percent of an individual’s total knowledge. Because we rely on our eyes for nearly every activity we perform, most individuals value the sense of sight above all others. 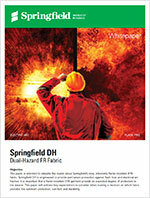 This paper is intended to educate the reader about Springfield’s new, inherently flame-resistant (FR) fabric. Springfield DH is engineered to provide permanent protection against flash fires and electrical arc flashes. 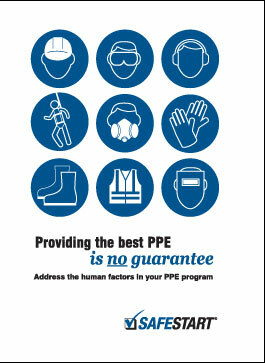 It is important that a flame-resistant (FR) garment provide an expected degree of protection to the wearer. This paper will address key expectations to consider when making a decision on which fabric provides the optimum protection, comfort, and durability. 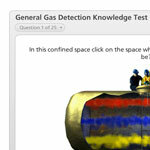 Complete our General Gas Detection Test and we'll give you $50 off your next face-to-face training session. Sponsored By Industrial Scientific Corp. 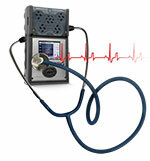 Does Your Gas Detection Program Need a Health Check? 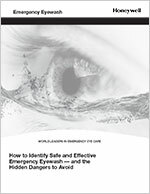 From this white paper, learn the three things every safety professional should know about their portable gas detectors, data management and safety culture.Though the essential data stored within gas detectors will help safety personnel make decisions that increase workplace safety and strengthen their safety cultures, it often goes unused. Informed decisions will save lives; uninformed decisions will encourage more unsafe behaviors and conditions. In addition to cost savings, an advantage to renting over purchasing gas detectors is that it enables more accurate budgeting for projects.